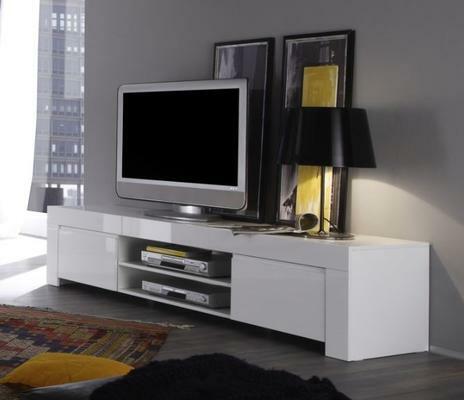 Rimini Collection large TV Stand in White High Gloss Lacquered finish, left and right opening doors with central panel design and quality hinges. 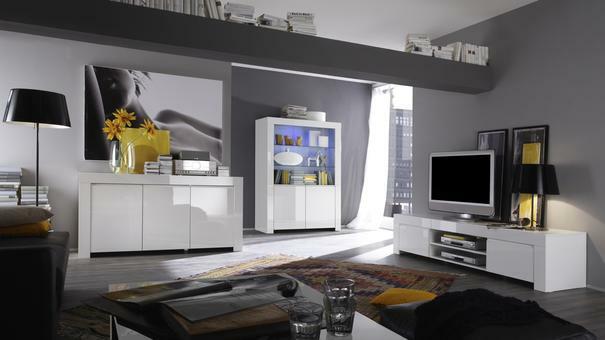 Storage space behind doors and one middle open shelf with AV access point. 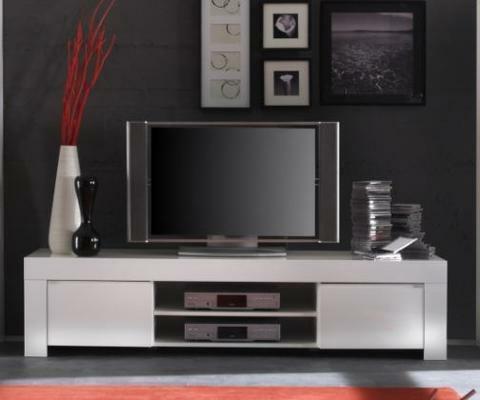 Ideal TV and Audio Storage, maximum top weight 30kg, centre shelf max weight 10kg.